Forget about having your computer full of duplicate images. 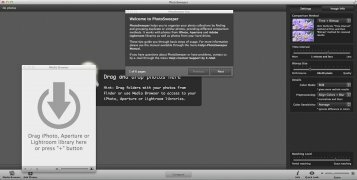 With PhotoSweeper we'll have a tool capable of clearing out all those duplicate or similar images on our Mac, synchronizing with the libraries of the main photo enhancement applications. PhotoSweeper allows us to quickly remove duplicate images or those that are similar to the ones we already have and that we're not interested in. It's a very versatile tool compatible with the main image formats and even with PDFs, equipped with different file comparison methods. And don't worry if PhotoSweeper accidentally removes a photo you wanted from your collection, because it stores them separately and will only delete them permanently if you say so. 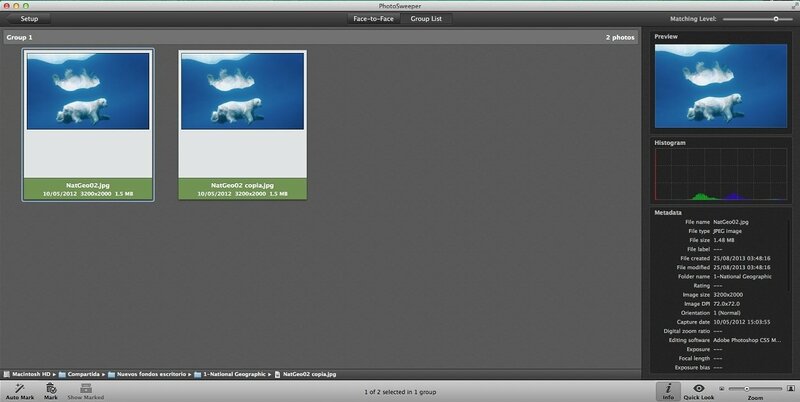 Compatible with the main image formats. Six different image file comparison methods. Browser to locate photos that shows all the information about the latter including EXIF data. 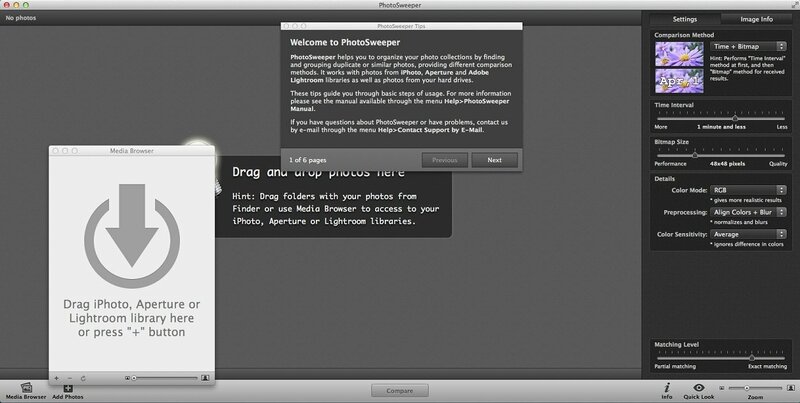 Synchronization with iPhoto, Aperture and Adobe Lightroom. Detection of photo series intervals. PhotoSweeper uses six different methods to detect duplicate image files. 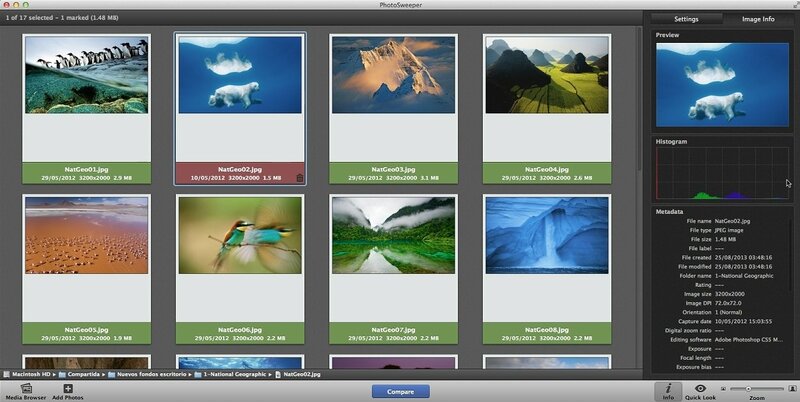 PhotoSweeper will become the perfect tool to manage your photo collections, also being very fast as it's optimized for 64-bit multi-core processors. Its design makes it simple and intuitive to handle its functions and integrates it perfectly into Mac OS X. 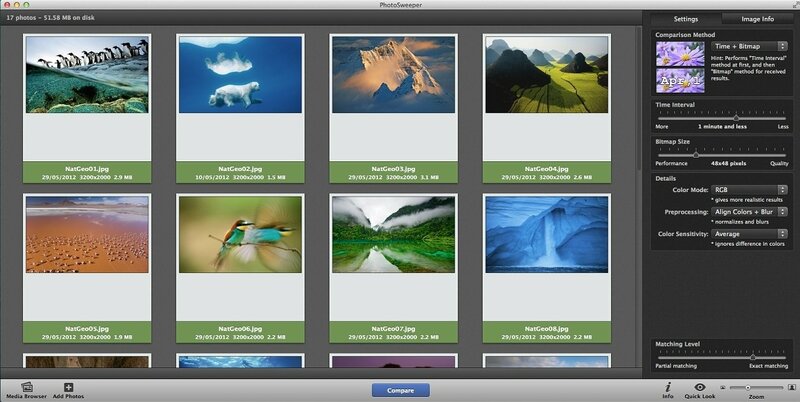 Get rid of duplicate images in your photo collection thanks to PhotoSweeper for Mac. This is a trial version limited to 101 images.